Little Hunter: Chicken Skin Butter | 15,000kms of Food! Dined with girlfriends at Little Hunter in March 2013 in the early days of this restaurant. Location wise, it’s a bit tricky to find and the building is almost like a construction site. But once you get in there, it’s modern and stylish but perhaps a tad dark. 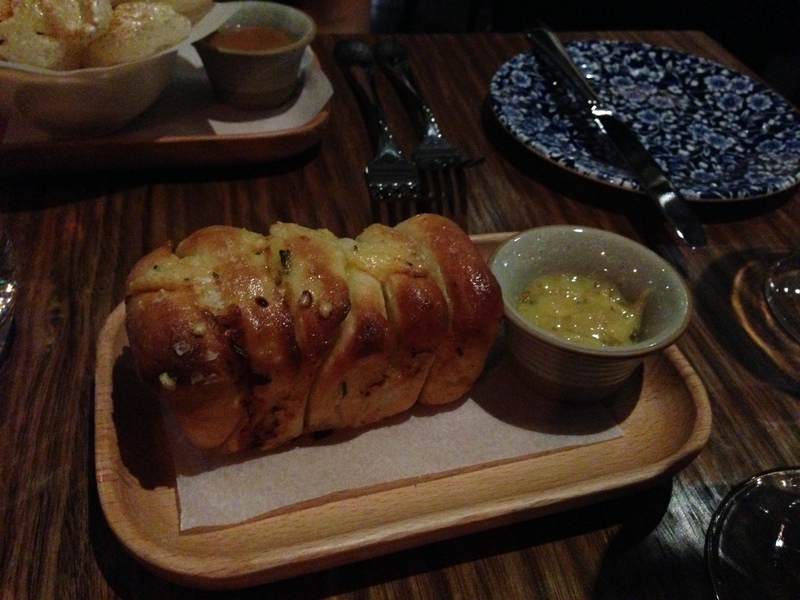 The most awesome surprise arrived with the bread: chicken skin butter. And oh my, did it taste devine! I’d say it’s a heart attack in a bowl. Luckily for me, they gave us a very modest amount of it. 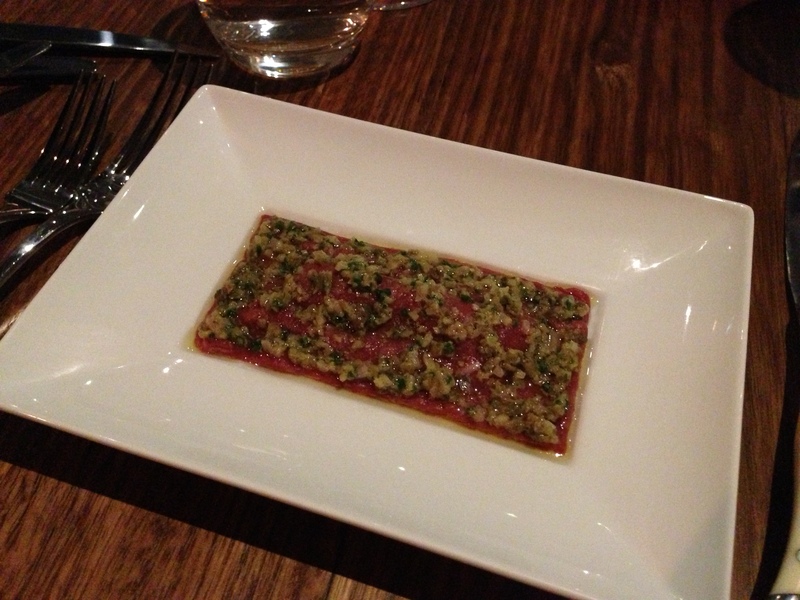 We tried a few things, including the beef tartare which came out more like sashimi. It was really good. 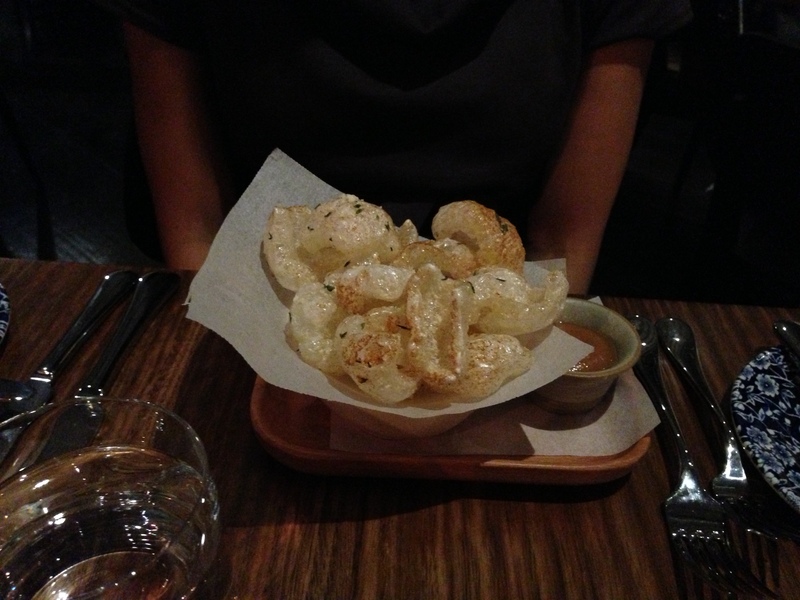 Also had a serve of the pork crackling. I really wished I had a beer to go with that. And footy on the TV. Given it’s suppose to be a steak kinda place, for my main I had steak. I don’t remember what cut of meat it was but it was excellent. Had a wonderful smoked flavour and cooked perfectly. Came with a nice solid mushroom and sauce. Yum! I think Little Hunter is still finding it’s feet. Some things were amazing (chicken skin butter, the steak) but it still felt like there were elements that needed some work. Would I go back? Sure, only to give it another go. And for the butter. 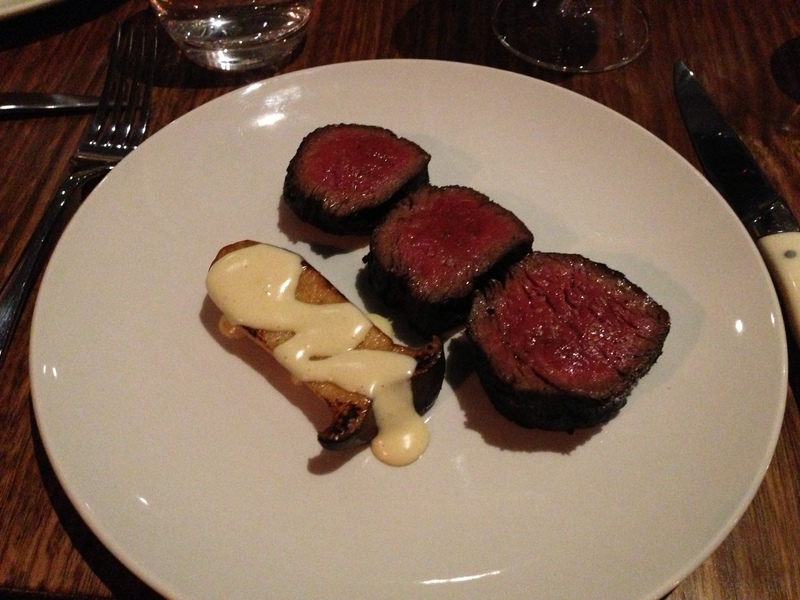 Previous PostMy new favourite restaurant: BrooksNext PostQuick and easy dinner at Cumulus Inc.
Great review! I love your site!